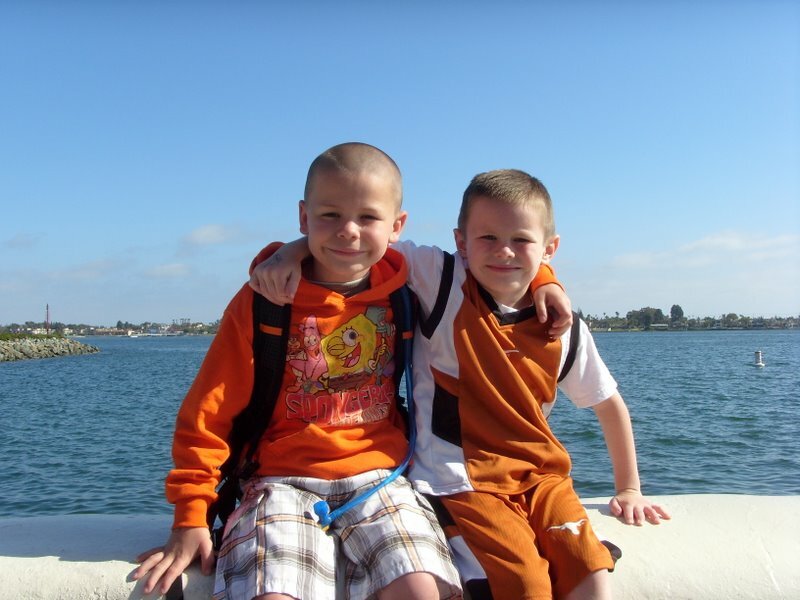 Boo and West are like child versions of TV naturalist Jeff Corwin and survivalist Les Stroud. In many ways, my boys are complete opposites, but when it comes to adventuring theirs is the perfect alliance of wide-eyed idealism and practical grit. Wilderness is one place their personalities converge. And though they’ve only done it once before, they consider the 12 mile round-trip trek to South Willow Lake the ultimate wilderness adventure. The following originally appeared in the September 23, 2010 edition of the Tooele Transcript Bulletin. I didn’t want to jump into the lake. I really didn’t. Not just because I find the idea of blindly submitting oneself to strange waters generally disturbing—or that my last encounter with this lake resulted in a bloody foot laceration. No, it was much simpler than that. Truth is, South Willow Lake is cold. Freeze-your-tuckus-off cold. No matter how long you’ve been hiking or how parched you are when you reach the lake, a dip in South Willow will always be several shrill notches past refreshing. The internal debate ended there. West and I waded out, counted to three, and dove in. By strict geographical standards, the lake is small and rather unremarkable. 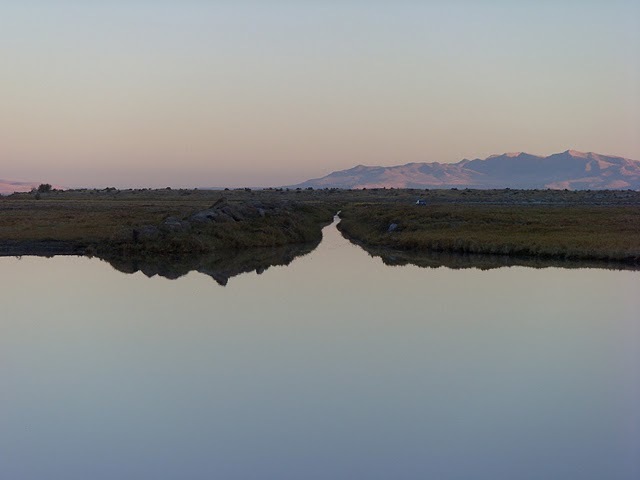 But like most alpine lakes, South Willow’s beauty is defined by its surroundings. The lake is partially encircled by tall limber pines. It lies at the foot of a sheer 10,685 foot glacial cirque in the heart of the Deseret Peak Wilderness. Aesthetically, South Willow Lake is the crown jewel of the Stansbury Mountains. Judging by various online trip reports, most people reach the lake by following the Mill Fork Trail from Loop Campground in South Willow Canyon. Last year we took the more direct route from the Medina Flat Trail Head further down the canyon. This route follows the Stansbury Front Trail to its junction with historic Mining Fork Road, which leads to the wilderness boundary and a final trail to the lake. This is the steeper of the two options, but it covers more varied terrain and offers striking views. We decided to take it again this year. Most trail literature list a 6.8-7 mile round trip distance for the Mining Fork route. I was skeptical of those numbers after last year’s hike, so I decided to measure it myself this time. Using a GPS mapping app on my smartphone, I would record our entire track. We began hiking late in the morning under clear skies and an uncommonly hot sun. Boo took the lead and set the pace. It’s his usual role, and he does it well. The boys had resolved to carry their own gear the whole way. A clear departure from the norm, it was yet another reminder to me that they’re growing up fast. I hung behind and to listen to their trail banter. Among other priceless tidbits, I learned that West is the best basketball player at recess and that Boo is now just as flexible in P.E. as his toddlerhood friend, McCall, who, amazingly enough, becomes less and less icky as time passes. “Me and her are getting along a little better these days,” he said. By the time we reached Mining Fork, I regretted packing our jackets. This is my favorite section of the hike. The narrow road is believed to have been built during World War II. It traces the canyon bottom at a steady grade beneath a thick canopy of fir and spruce, passing the remains of collapsed mining cabins along the way. At times, this road has certain aura that I’d describe as eerie, but that I’ve never been able to pin down. The road eventually opens into a stand of aspens and a single track trail picks up at the wilderness boundary. The cirque, which is unofficially referred to as South Willow Peak, looms constantly from this point. At its foot, the lake is surrounded by a ridge; it isn’t visible until you’re standing on its shores. The stretch from the wilderness boundary to the lake measured 2.4 miles with a 1,555 foot elevation gain. It’s the steepest leg of the hike. 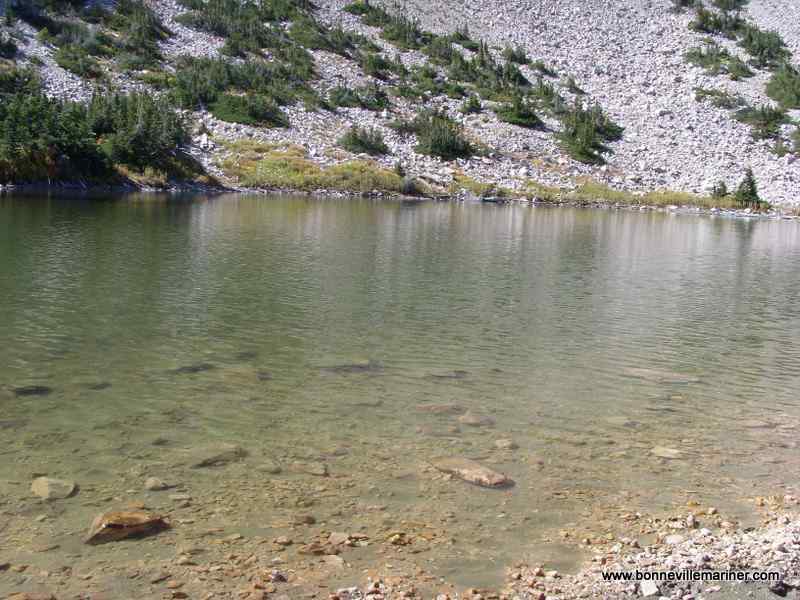 We rested often on this stretch, but stops were short—the boys were eager to reach the lake. When we rounded the last ridge, they tossed their backpacks and waded in. I checked my phone. We had hiked 5.8 miles—nearly two miles further than the listed distance. West and I didn’t swim long. There was no need to loiter in the frigid depths. After a letting out the requisite victory howls, we moved onto the very important tasks of drinking warm Gatorade, eating smashed peanut butter sandwiches, and watching Boo’s weird bug drag lines in the mud. Later, I taught them how to skip rocks. We reluctantly packed for the return trek. Our legs were sore. It was a sweet sore, the kind of sore you get from a good, long hike. The boys were hesitant to leave, as they always are when it’s time. Nothing’s better than hanging out lakeside after a hike, and nothing’s worse than the prospect of leaving. In my mind, the end of this hike marked the end of summer. Yellowing leaves on surrounding trees reinforced that notion. I reset my GPS app. When we arrived back at the trail head, the readings matched up—5.8 miles with a 3,364 foot cumulative elevation gain. “How deep do you think that lake is?” West wondered on the way home. “I don’t know, but I think I’ll try swimming next time,” Boo answered. I think they’re both nuts. I finally understood the purpose of Dad’s conditioning hikes the first time I climbed Hades Pass with him. I was exhausted by the end of that ascent, but the view of Grandaddy Basin from the top was breathtaking. Making the moment even more poignant was the later realization that not only was Dad packing his own gear—he had been carrying most of mine, too. The following originally appeared in the September 9, 2010 edition of the Tooele Transcript Bulletin. For the analytically minded, there’s nothing more satisfying than being able to break down a complex circumstance into tidy causal chunks. Of course, the impulse to dissect each and every condition can be maddening, especially when it comes to those that aren’t so cut and dry—such as love for the outdoors. And yet I continue to try. When I describe it here, I tend to illustrate those specific moments of actualization, like reeling in that big fish or watching that incredible sunset. What’s sometimes overlooked—at least when pen hits paper—are the outwardly mundane, laborious processes that make such moments possible. Nobody understands the principle of work before reward like my dad. An avid backpacker, Dad lived for his summer treks to the High Uintas. He’d begin preparing weeks before each trip—carefully organizing gear, transferring food items from their bulky retail packaging to Ziploc baggies, pitching his tent and taking it back down again. Most curious to me were the walks he’d take around the neighborhood wearing his boots and fully loaded pack. When I was about 10 years old, he gave me my own external frame pack and invited me along. We’d tread for what seemed like miles, waving to amused neighbors as we passed. I finally understood the purpose of these conditioning hikes the first time I climbed Hades Pass with him. I was exhausted by the end of that ascent, but the view of Grandaddy Basin from the top was breathtaking. Making the moment even more poignant was the later realization that not only was Dad packing his own gear—he had been carrying most of mine, too. It was one of the more memorable adventures of my childhood. 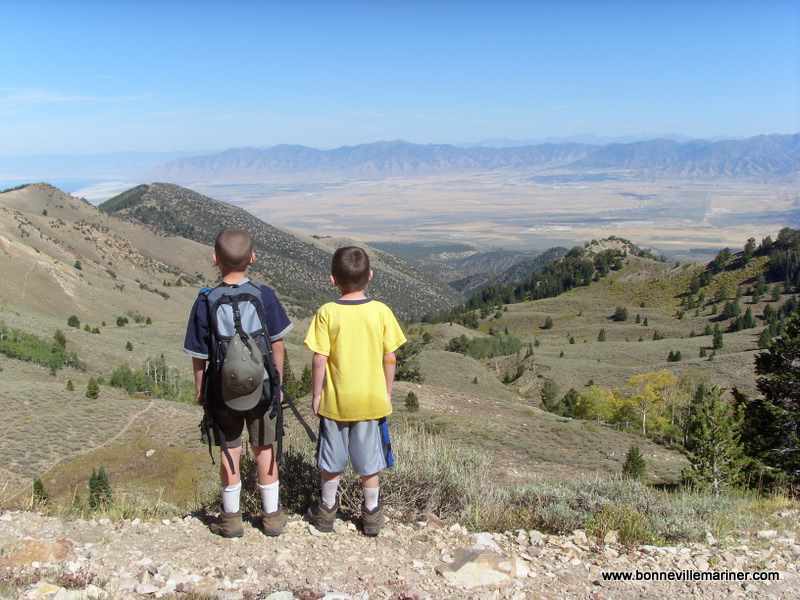 My sons feel the same way about the climb to South Willow Lake in the Stansbury Mountains, which they’ve spoken of frequently since we made it late last summer. Interestingly, their memories center on the few hours we spend at the lake itself, rather than the encompassing 6.8 mile round trip hike. Yet were it not for those punishing miles, they wouldn’t recall the lake with such enthusiasm. Since the two older boys and I will be returning to South Willow Lake in two weeks, I thought a short conditioning hike was in order. A moderate climb in the Stansbury’s would reacquaint the boys both with the work and the reward that would ensue. The 2 mile Martin Fork segment of the Stansbury Front Trail would be the perfect practice route. 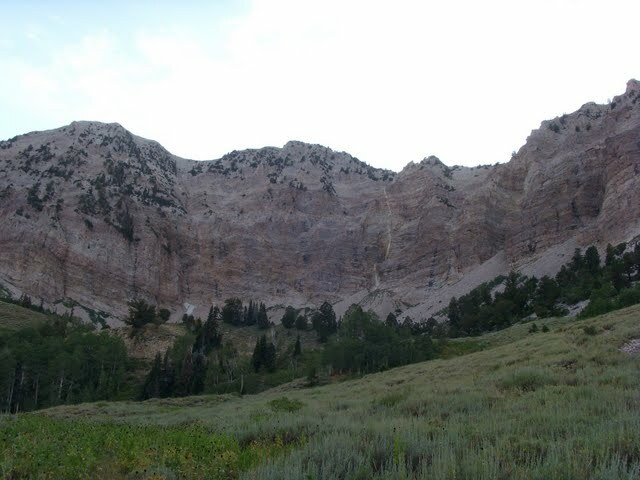 The Stansbury Front Trail stretches 25 miles along the eastern face of the Stansbury Mountains between Clover Creek Campground and West Canyon, bordering the Deseret Peak Wilderness Area along most of its route. The narrow single track dips into and climbs out of canyons like a roller coaster as it traverses rarely seen areas of range. 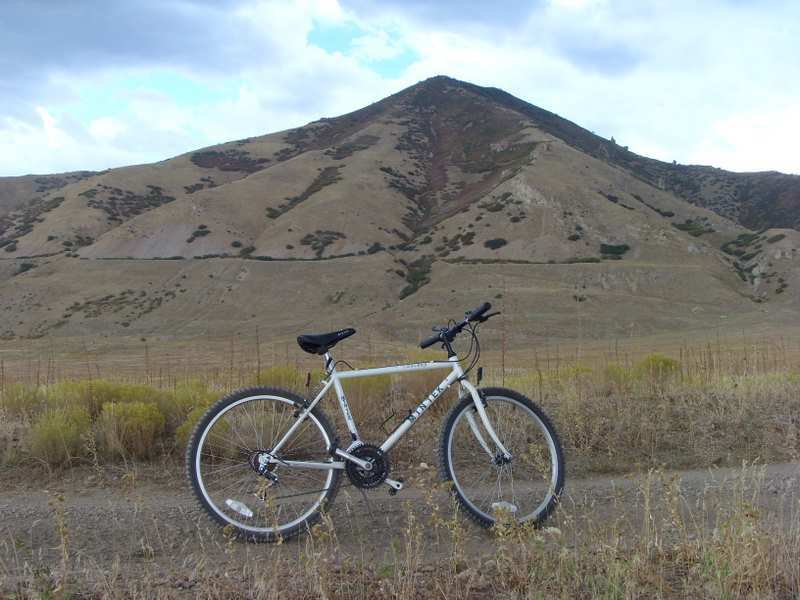 Though the more remote sections of the trail see mostly mountain bike and motorcycle traffic, day hikers frequent the mid-course trail heads at Big Hollow, South Willow Canyon, and North Willow Canyons. We caught the trail at Boy Scout Campground in South Willow Canyon on Saturday evening. The path rose sharply under a canopy of pines as we wound our way up to the canyon’s eastern ridge. Boo, 9, and West, 7 scampered ahead while I nudged 4 year old Coulter along behind. Coulter loves the mountains—he called the Stansbury’s “my mountains” when he was a baby—but he’s usually averse to hiking any further than about 20 yards. The boy was kind to me that night; he walked a whole half mile before begging me to carry him. “But I’m already carrying Deedle,” I told him, pointing to the 1 year old mini linebacker who was enjoying the ride from the comfort of his baby backpack. From the ridge top, the trail bent southeast, offering a sweeping view that included Tooele Valley, Mining Fork Road, the glacial cirque that looms over South Willow Lake, and Deseret Peak. 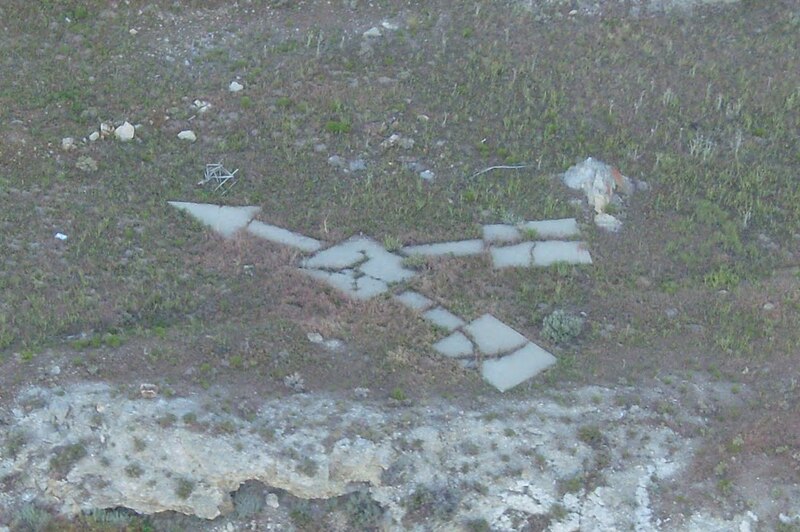 Still visible below were The Narrows portion of the canyon road and the historic U.S. Forest Service cabin. I had hiked this section of the trail before, but had never noticed that most of the canyon’s gems were viewable there in a single panoramic glance. When we caught up with Boo and West, they were chasing a snake through the brush. A group of motorcyclists passed just before the trail dropped 400 feet to the bottom of Martin Fork. By that point, the boys had managed to stow their sweaters and water bottles in the cargo pouch of Deedle’s pack. Bring it on, I thought. Conditioning. I’ll end up with most of their gear on the big hike anyway. The boys had mastered pacing by the time we headed back. 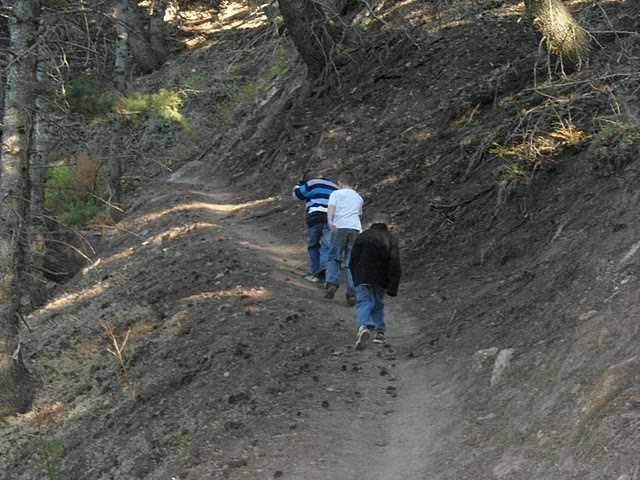 The lake hike will be longer and steeper, but they’d be ready to take it on. Coulter, having finally realized that riding in my arms was not an option, made the return trip in good spirits and at decent speed. We finished the evening off with snacks and a campfire at Boy Scout Campground. The cold front that had kindly waited to approach until we were done finally began to blow in. Profound analysis from a young outdoorsman. Martin Fork segment of the Stansbury Front Trail is accessible via posted trail head at Boy Scout Campground in South Willow Canyon. Distance to the fork and back is approximately 4 miles. The trail is narrow, featuring sharp rises and drops over non-technical terrain. 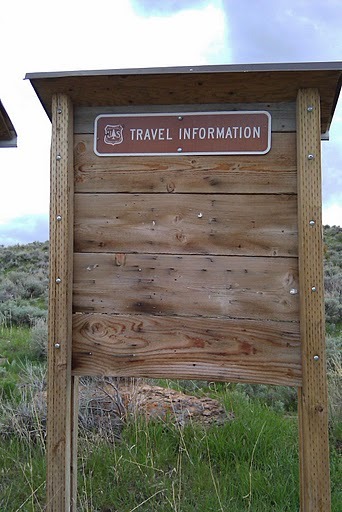 Trail head parking is available at the adjacent Medina Flat trailhead 1.7 miles from the Forest Service gate. No fee is required.